Supposedly, this year is supposed to be the third warmest on record, but it is also the same year that the Gulf of Mexico froze over. Florida is already bracing for the third freeze of December and the cold is a month early. The chilly temperatures are wreaking havoc on local wildlife. So far this year, more manatees have died from hypothermia than in the last of the last five years together. Today, AP reports a mass of manatees protesting the effects of devastating cooling in Florida waters. While the manatees natural habitat has become to cold for them to survive, manatees are flocking to waters around power plants to stay warm (you know, the giant carbon producing structures that are causing all the animals to be in danger everywhere. People aren't the only ones in Florida who don't like cold weather. 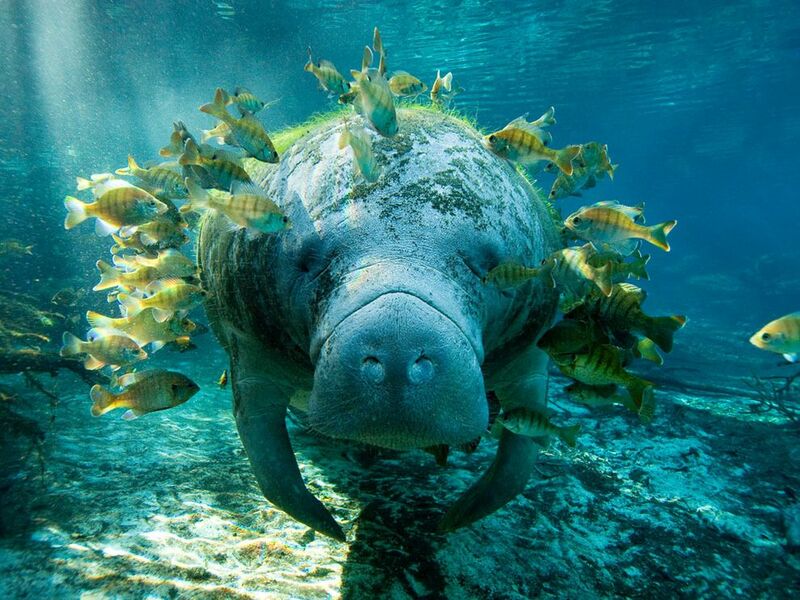 Manatees - those giant aquatic mammals with the flat, paddle-shaped tails - are swimming out of the chilly Gulf of Mexico waters and into warmer springs and power plant discharge canals. 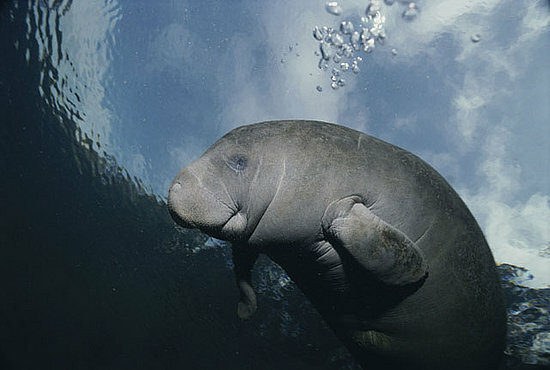 On Tuesday, more than 300 manatees floated in the outflow of Tampa Electric's Big Bend Power Station. They should head up to Greenland ..... heard it's lovely and warm there at the moment. I think the Ice Age has begun. And let's not leave out the caribou protesting the Alaskan oil pipeline! The clever subversives. Manatees in favor of global warming. I like it!